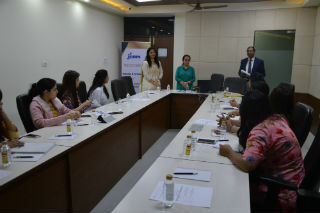 An Executive Development Programme ‘Self-Awareness and three soft skills for a successful career: Great Communication, Adaptability and Time Management', was held on Saturday, 17th Nov. 2018 at JIMS, Rohini, for the junior level employees in the corporate. 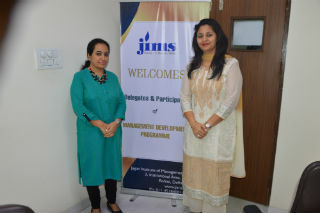 The session was conducted by Ms. Harpreet Kaur Rakhra and Ms. Silky Madan, at JIMS, Rohini, Delhi. Soft skills are important to succeed in almost any job. In recent years they have become a popular talking point among employers. These skills are not inherent but they can be identified, harnessed, and strengthened. However before trying to improve soft skills one should be self-aware. Self-awareness helps us acknowledge our own strengths and weaknesses. 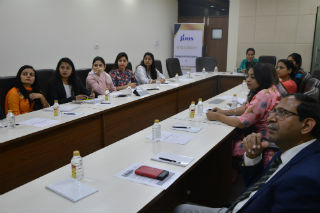 The full day workshop was conducted on mainly these aspects. 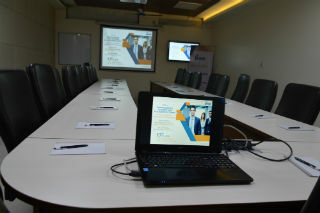 The program was divided into three sessions. First was Self-Awareness, which covered aspects of self-awareness, discovering oneself, improving interpersonal communication using Johari window and personality assessment test. Second session was on Effective Communication that included the four skills LSRW, Use of 7 C’s and common phrases in Business English, Vocab activity, Writing effective e-mails and letters. Last session was on Adaptability, and Time Management etc. were discussed. and how it can affect one's personal and professional lives. Sessions were Interactive with mix of Presentations, Exercises and Video Clips. 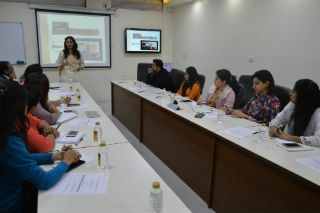 The participants enjoyed and took away lots of key learnings with them. 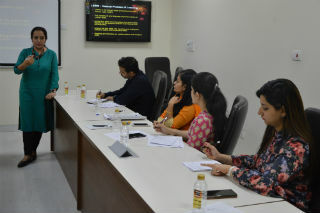 Ms. Harpreet Kaur Rakhra, Assistant Professor JIMS is MA in English and Psychology. She is also an MBA and has a graduate degree in English Literature from Delhi University. Prior to this she has worked with Educomp as a subject matter expert and Excel Books as a language editor. Ms. Rakhra has several international publications and has presented papers at International forums. She has an experience of 19 years in the area of academics and industry. Ms. Silky Madan Assistant Professor JIMS has an extensive academic experience of more than 13 years. She is a university gold medalist in MBA from GGSIPU. After completing her M. Phil, she qualified her UGC NET Exam. Her area of specialization is Human Resource Management and Organizational Behaviour. At present she is pursuing Ph.D from Jagannath University, Jaipur in the area of HRM.